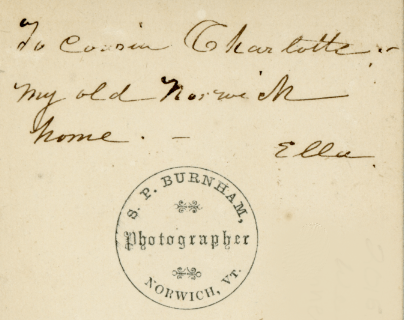 While looking through the Main Street file, I came across this note on the back of a photograph of the Thomas Emerson House, which now contains many stores and offices, including the Norwich Post Office. The “Ella” who wrote this note is identified as Elizabeth Emerson Atwater. 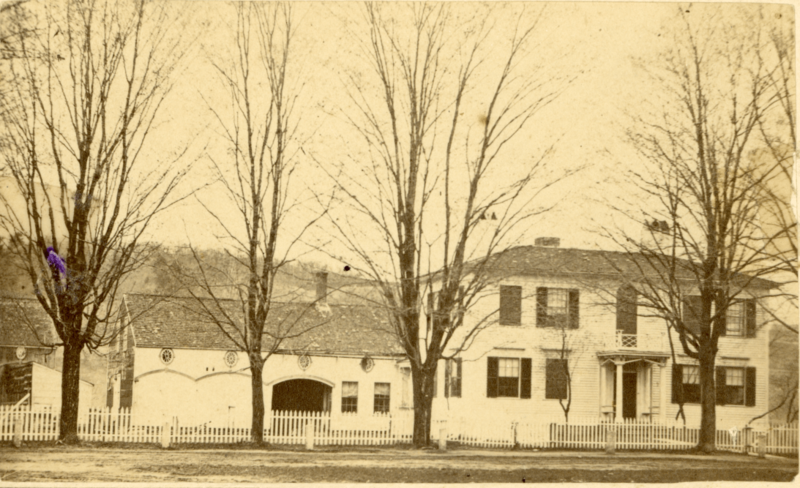 A look through the Emerson family file at the Norwich Historical Society and a quick online search started to reveal the fascinating history of Elizabeth and the Emerson family. The Emersons are an important family in the history of Norwich, and three houses that once belonged to the Emerson brothers Elihu, Joseph, and Thomas, still stand on Main Street. Elizabeth, born on August 8, 1812, was the daughter of Thomas Emerson and his wife Lucy Curtis Emerson. Thomas was a successful merchant. During the 1830s, when wrongly accused of stealing a large amount of money from the Bank of Windsor while President, he moved to Michigan. Lucy Emerson was the granddaughter of Abel Curtis, one of the first Norwich town clerks and author of the first American-printed Grammar, which was published in 1779. 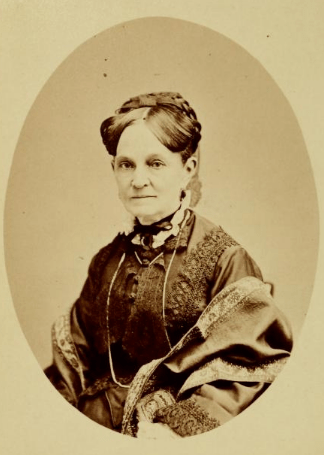 Elizabeth went to school in Norwich until she was fourteen, and then attended the distinguished women’s school, Mrs. Emma Willard’s Seminary, in Troy, New York. 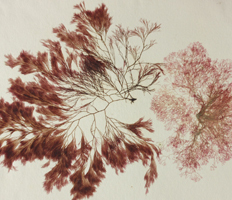 She became fascinated with nature and science, and started to collect specimens, even discovering a rare moss in California that was named Bryum Atwaterlae after her.